LOS ANGELES and COLUMBIA, Md., Jan. 3, 2018 — (PRNewswire) — Epson®, providers of the Moverio® augmented reality (AR) smart glasses platform, today announced the availability of a device plug-in based on the Open Source Virtual Reality (OSVR) platform to enable cross-platform content creation for Moverio software developers. The integration was made in collaboration with Sensics, creators of OSVR and a leading provider of special-purpose virtual reality (VR) and AR solutions. Gain access to image analysis and AR toolkits that are pre-integrated with OSVR. "We are excited to add Epson and their strong line of augmented reality products to the list of devices supported by OSVR," says Yuval Boger, CEO of Sensics. "Our experience shows that enterprise customers seek multi-vendor solutions that can be upgraded over time and OSVR makes this process exceptionally easy." 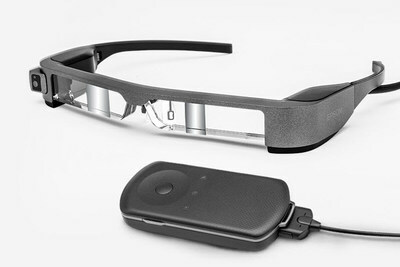 "This collaboration between Epson and Sensics enables OSVR developers to easily port existing games and apps to Epson's Moverio augmented reality smart glasses, and provides existing Moverio developers with powerful new tools and resources for building rich new content," says Leon Laroue, Technical Product Manager of Augmented Reality Solutions at Epson America. Sensics designs, builds and supports VR and AR products for special applications. Since 2003, Sensics has served hundreds of global customers. It delivers high-performance off-the-shelf products as well as customized designs. Sensics' products enable unique entertainment, consumer electronics, defense, medical and industrial applications. The company leverages its technology, experience, IP, supply chain, partner relationships and innovation. In doing so, Sensics brings its customers' VR dreams to life.